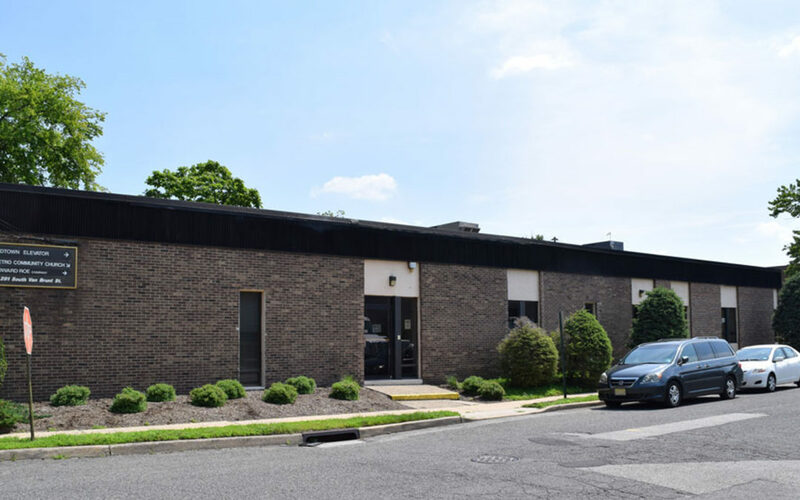 Metro Community Church Renews Office Lease in Englewood, N.J.
ENGLEWOOD, N.J. – Metro Community Church has renewed its 6,200-square-foot lease at 291 South Van Brunt Street in Englewood, announced Key Properties. The recommitment maintains full occupancy at the 9,000-square-foot, Bergen County property. Situated in the desirable Palisades submarket, just one block from Route 4 near a Radisson hotel, 291 South Van Brunt Street offers easy access to the George Washington Bridge, local hospitals, shopping and dining. Key Properties acquired the asset as a flex building in 1979 and gradually transitioned the single-story structure to full office use, according to Marc Schlussel, co-managing partner. The contemporary, culturally diverse Metro Community Church utilizes its space at 291 South Van Brunt Street for administrative offices. Since beginning its tenancy in 2012, the Christian congregation has grown its presence in the building by about 30 percent. Key Properties is a third-generation, family-owned and operated firm. The full-service organization invests in a range of commercial property types – with a focus on value-added potential – and is a leading expert in Brownfields redevelopment and condemnation proceedings. Concentrated in Northern and Central New Jersey, the Key Properties portfolio today includes approximately 500,000 square feet of assets and over 30 acres of developable land. Since its inception in 1970, Key Properties has completed a variety of projects including office, industrial and retail properties, as well as mixed-use developments.